The College Royal Open House is a chance for the surrounding Guelph community to have a fun FREE weekend on campus checking out all that the University of Guelph has to offer. Its fun for all ages and this year it is expected to be even better as we celebrate our 95th year! So what can you expect to see? Or as a student how can you participate? 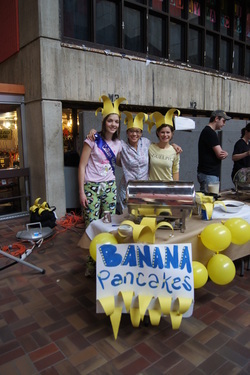 Every year over 80 clubs from the University put on displays and exhibits all over Campus. Every year they offer different activities and learning opportunities as they all compete to win the best award for best display. 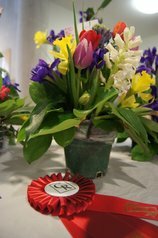 To get a feel for which displays might interest you have a glance at the 2019 booklet or check out last years winners to see who our Judges ranked best display in different categories. If your a University of Guelph Club looking to get involved head over to our Clubs Page. 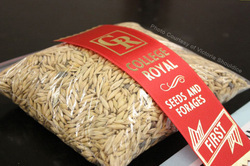 One of the longest standing traditions of College Royal, the livestock show includes experienced and amateur students showing; pigs, horses, dairy cattle, beef cattle and sheep. Want to visit a farm without leaving the city? 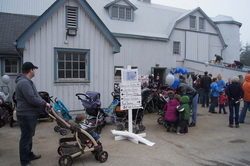 Old Mac's New Farm puts on displays teaching kids and families about farming and farm animals. You can even watch someone put their hand in a cows stomach, don't worry its completely safe. 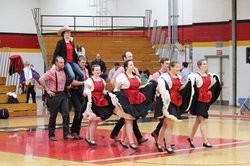 Are you a square dancing veteran looking for another competition? or have you never seen square dancing before in your life. Well either way come out to the Athletic Center to watch some Gryphons swing their ladies and dose doe. One of the most popular family events come out and watch the CR Dog Show. 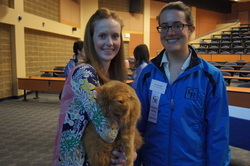 With experienced handlers and dogs alike along with beginners and puppies alike. Entertainment for everyone. Not just your average cat show, with plenty of prize categories find out if your feline friend has what it takes to be a meowing model! 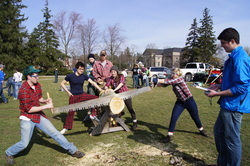 Come on out to Johnston Green to take in a giant tug of war match or watch some students swing some axes or saw some logs. Are you and your family looking for a cheap breakfast before you start exploring the Open house? Come on out and vote on different flavours and teams of flippers competing to getting your votes. Students: Do you want to get a team together to compete? Some are already talented some learn as they go, check out the results of the student flower arranging competition on display during open house weekend. Students: Do you have a flare for flower arranging or just think you want to give it a try? 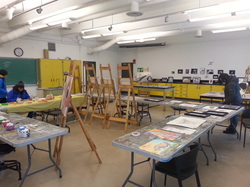 Guelph Community Art Show: It's not just the art students that have an eye for beauty, check out some of the beautiful photos, paintings, sculptures, and sketches created by the residents and students outside of the arts program at Guelph! Juried Art Show: Come to see Guelph's very own professionals doing what they do best: Art! All artistic works donated to the show are created by Studio Arts majors at the University of Guelph, so you know it's gonna be good. Wondering how to tell good corn from poor corn, or how they decide what crops get used to make bread or are fed to animals? Come out and learn about seeds and forage judging and have a look at some local crops from all over Ontario. Ever wondered what kind of research goes on within inside the University. Check out this unique opportunity where UofG faculty opens up their doors to tell the Guelph community what they are working on and even how they are changing the world!! Every year there is something new and exciting to see. 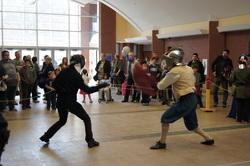 So whether you want to watch some synchronize skating, explore the veterinary college, learn about programs offered at Guelph as a future student, watch a medieval sword fight or a robot challenge, or maybe you want to see human body parts, there is something for everybody to do and see at College Royal Open House weekend! So be sure to come out March 16th and 17th, 2019 and don't forget to get a milkshake! Do you have questions about Open House Weekend?